Vacation condo rentals at Inn of the Sea on Vancouver Island just outside of Ladysmith and Nanaimo, near Yellow Point Lodge and just 90 minutes from Victoria. Inn of the Sea Resort is located in the tranquil and picturesque countryside on Vancouver Island’s eastern shore, on 3.5 acres of stunning ocean-front property overlooking the Salish Sea (Georgia Strait) with breathtaking views of the Gulf Islands and distant mountains. 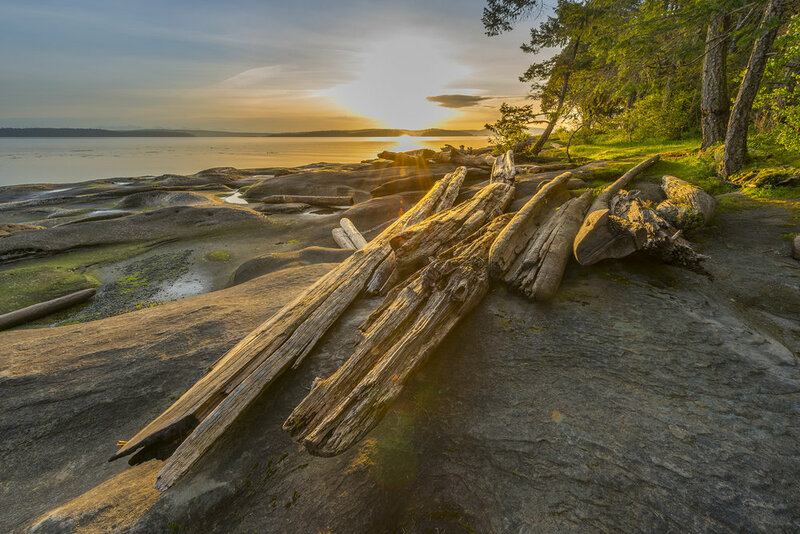 The resort provides all the pleasures of country seaside living – waking up to stunning sun rises, the call of quail, loons, eagles and seabirds – but within easy reach of urban centers and all that Vancouver Island has to offer. Beautiful Coastal inspired Oceanfront condo with a warm seaside feel. Enjoy breath taking view from our large balcony. Sip on a glass of wine and watch sailboats and cruisers navigate the channel. Elegant ground floor Oceanfront condo, surrounded by lush greenery and beautiful cedar and arbutus trees. Large patio doors lead the way to ocean views and a spacious comfortable deck. A little piece of Paradise awaits you. Fully appointed beautiful Oceanfront studio suite with a sliding glass door that opens onto a private water view balcony.